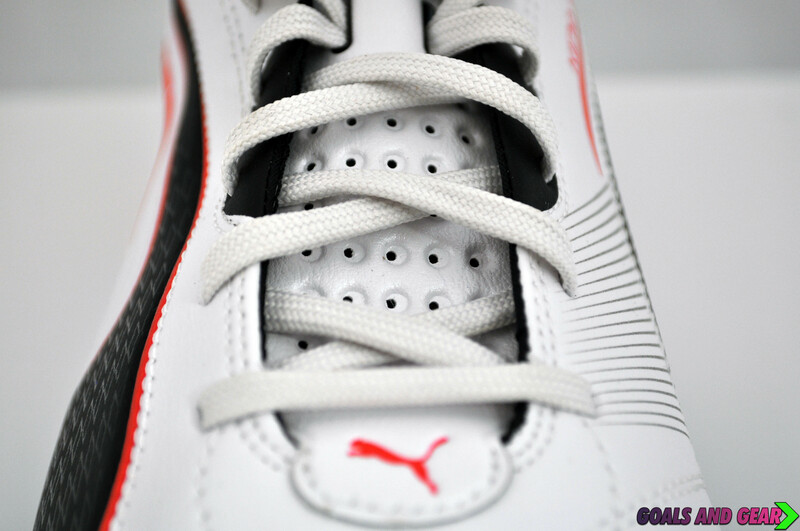 Puma has ditched the classic leather upper on the latest incarnation of the King, a controversial move among many of their faithful King fans – but this has allowed them to create the lightest King ever – at an impressive 171 grammes. 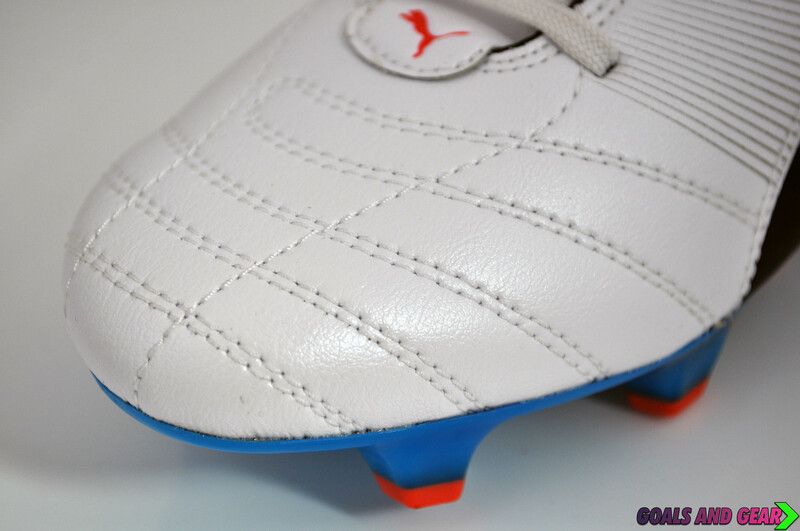 The new upper material is a leather like synthetic, which breaks in fantastically well and begins to shape like a leather boot would (although this upper has nothing on the super soft upper on the 2013 King). 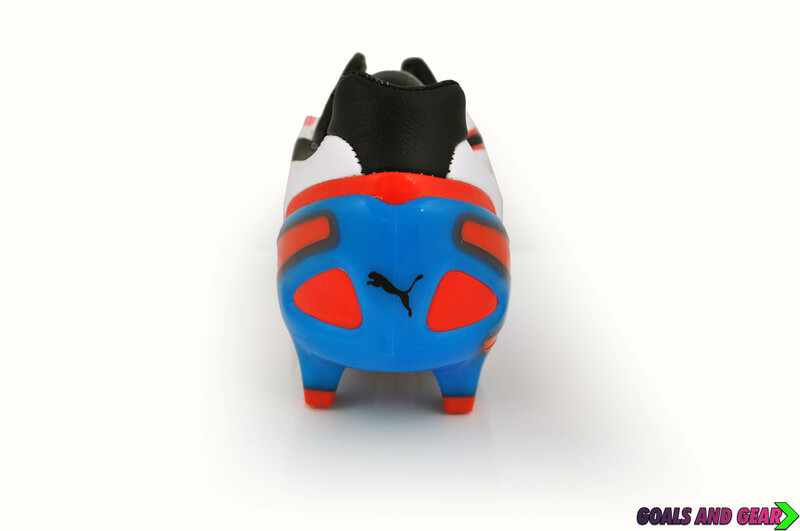 When playing in this boot – I have to say you feel as if the upper is 50/50 leather and synthetic, just because of how it responds to your foot – sometimes you get fantastic touches and great close control – while other times the synthetic side of the boot becomes a little more apparent – but the added weight loss is really noticeable. 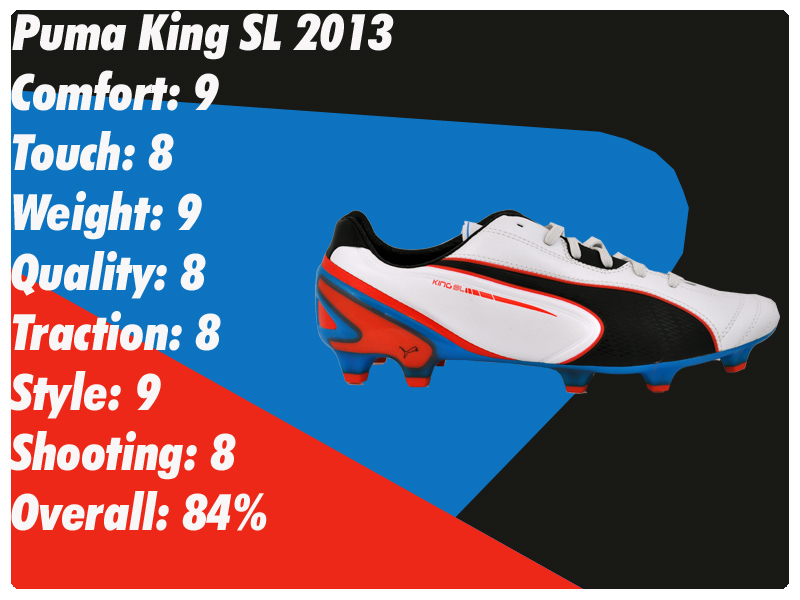 When you put on the King SL it feels like you’re hardly wearing anything on your feet – and I was really surprised at how accommodating it was to my foot, initially I thought the boot would be a really slim fit, due to the slim frame – but the upper works with your foot to give a surprisingly comfortable fit for such a lightweight boot! 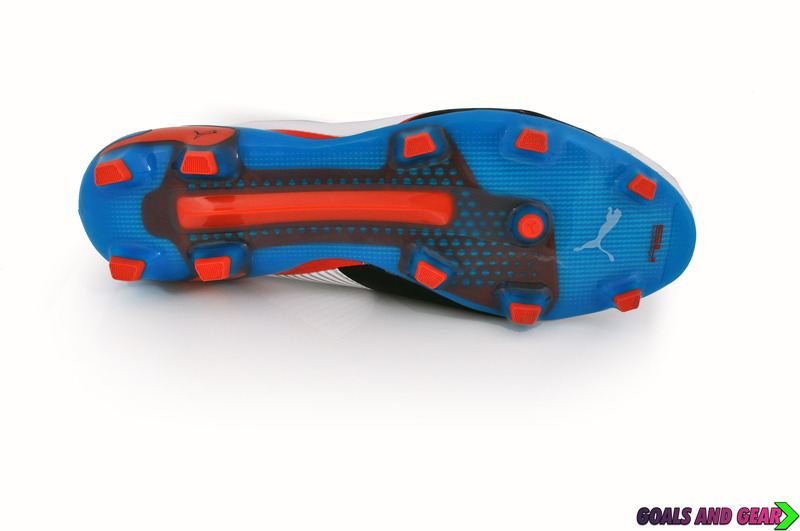 Like the 2013 King, puma have given the SL model a perforated tongue – which gives you a fantastic feeling when putting your laces through the ball for those high powered shots. It also gives you added breathability – which is great in a synthetic boot, as they can often become very sweaty during the summer months. The perforation also adds to the flexibility of the boot – and this also increases the comfort of the boot greatly as your laces are cushioned against your foot with little irritation. 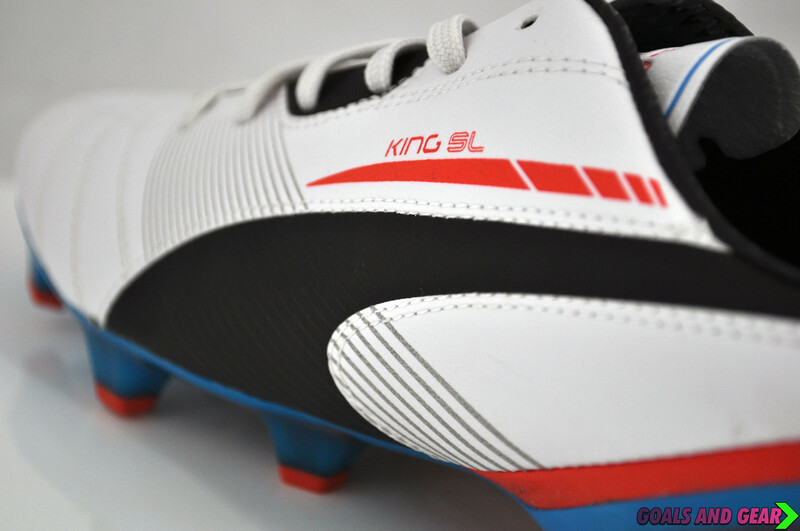 The soleplate of the King SL 2013 has been one of the most talked about features on this cleat, Puma have dropped the much favoured Conical stud pattern and replaced it with a hybrid stud – my main concern when looking at the boot online was that this may introduce some noticeable stud pressure – which the 2012 model did not have, but Puma have managed to avoid harsh stud pressure once again – making this one of the most comfortable speed boots on the market. The one downside with the stud pattern is that you do not get much of a sense that it is improving your speed – which you may get with some other speed boots – but what you lose there you gain in comfort. 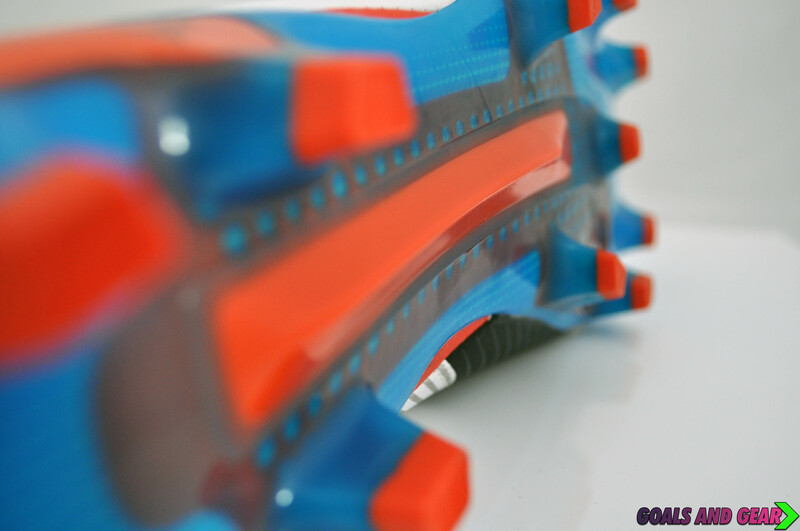 One of the most interesting features of the redesigned soleplate is the introduction of a spine to the boot, this gives you great support between the balls of your feet – where you usually will lack it, and allows for an increase in energy return when running. 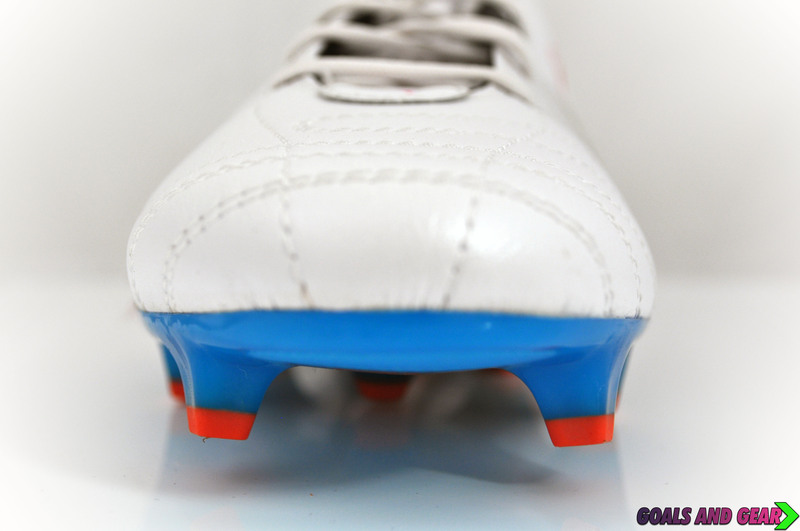 The heal counter of the boot is solid and cups your foot nicely – while also offering a decent level of protection to your heal from cheap tackles from behind while not adding too much weight to the boot. 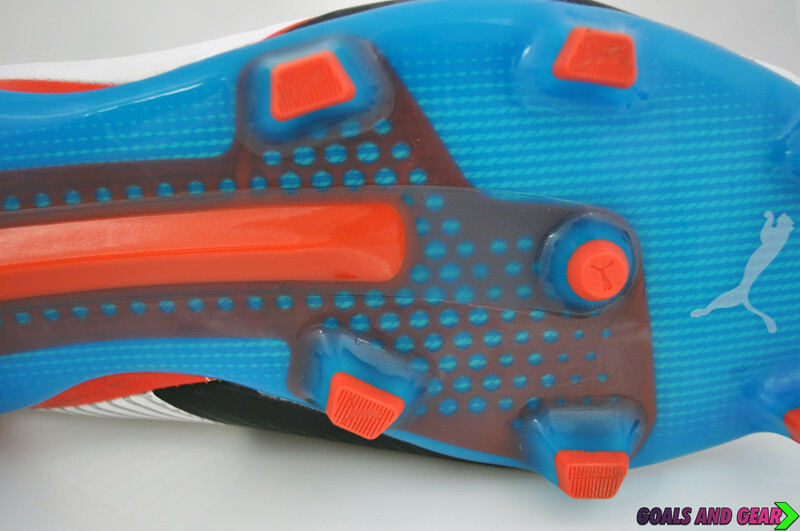 My main only complaints with the boot come from within the boot: firstly I think its slightly disappointing not to get a speed boot with the option of a perforated sock liner – as I would personally love to have this option. Also I felt that an EverFit Cage could have helped give a little more to my sprints in the boot – but that is also a minor flaw in an otherwise very nice boot. 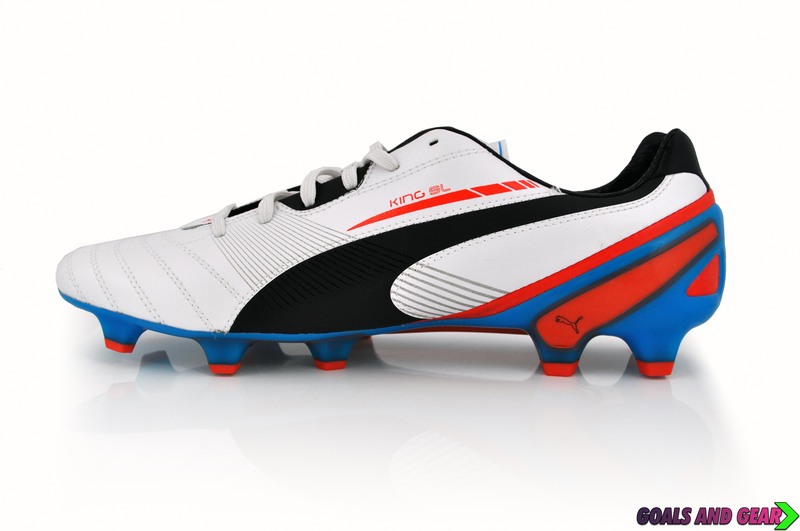 Posted on May 4, 2013, in Reviews and tagged 2013, black, blue, boots, cleats, football, goals and gear, king, ocean, orange, puma, puma logo, review, reviews, sl, soccer, white. Bookmark the permalink. Leave a comment.